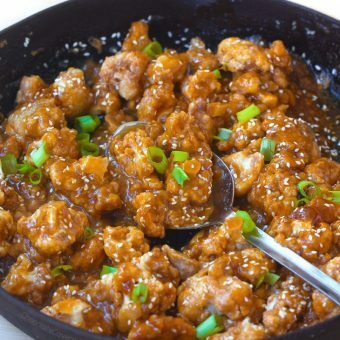 This restaurant-style sticky pineapple cauliflower tastes so much better than takeout, and it’s healthier for you too! I know… vegan food is so boring, right? The funny thing is that my diet became much more varied after I stopped eating meat. 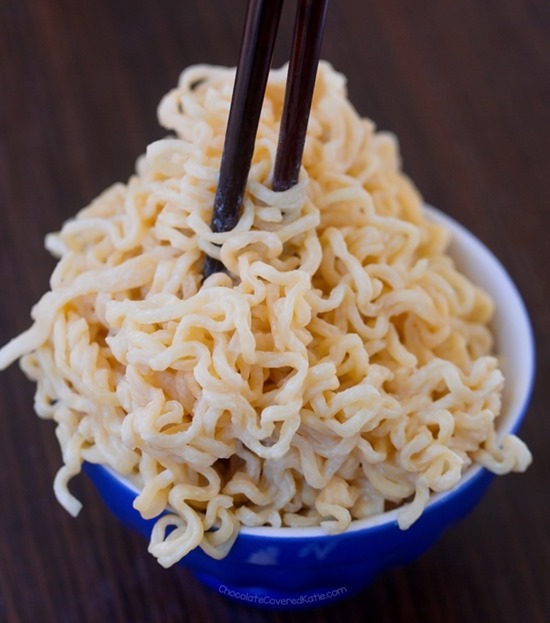 While I’d previously eaten the same six or seven meat-based meals on permanent rotation (and a predictable turkey sandwich every day for lunch), changing my diet forced me to branch out, and suddenly I found myself trying new foods I’d never even heard of before. Becoming a vegetarian really taught me to love not just the cooking process, but also the artistry and creativity that can be involved. Which brings me to these pineapple cauliflower bowls, inspired by the popular recipe for Sticky Sesame Cauliflower. It’s like Hawaii in your own kitchen. I don’t know what was more fun, making or eating them! You know what’s boring? 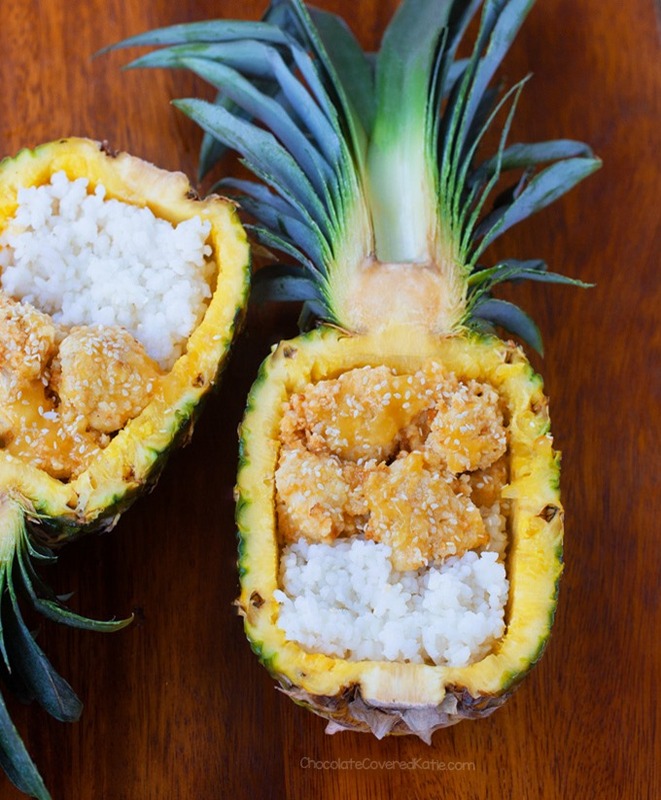 Eating nondescript fast-food chicken from a styrofoam takeout container, when you could be eating this completely plant-based dinner out of a pineapple! The pineapple bowl is optional of course, and the cauliflower still tastes delicious when served on a plate. 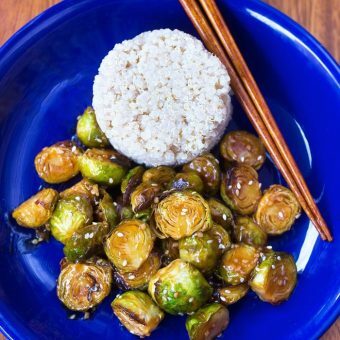 It’s also really good with rice to soak up all of the sticky-sweet pineapple sauce – maybe with this Half Calorie Rice Recipe? 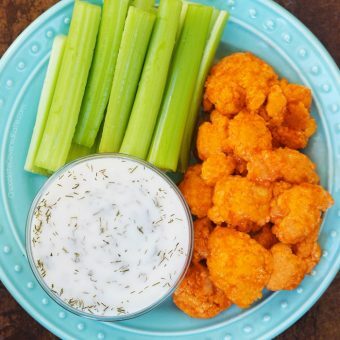 One of the best parts about this easy-to-make and healthy pineapple cauliflower is that there’s no added sugar in the recipe at all – it’s sweetened naturally from the pineapple juice. Similar recipes made with chicken can often have up to a full cup OR MORE of brown sugar. 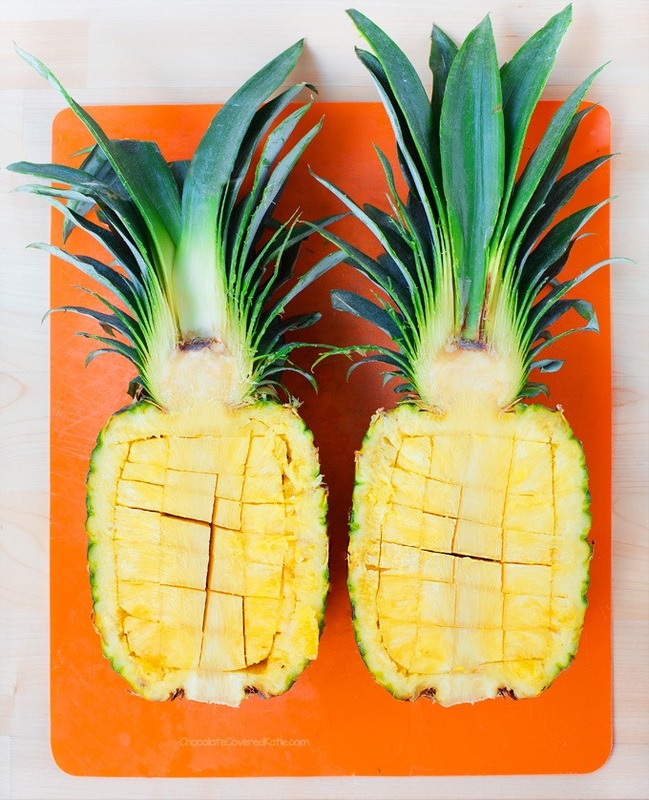 If you do opt to make the pineapple boats, simply cut the pineapple in half carefully with a large knife, then go around the edges and cut into squares as shown in the photo above. As a bonus, you’re now left with a ton of fresh and juicy pineapple that you can snack on while you’re cooking dinner or save to stir into the finished cauliflower dish. Or use it for something else entirely, like this summery Pineapple Dole Whip Recipe. Measure out the 1/2 cup breadcrumbs after crushing (either in a blender or by placing them in a bag and crushing with a rolling pin or heavy object). Preheat oven to 425 F. Cut the cauliflower into florets. 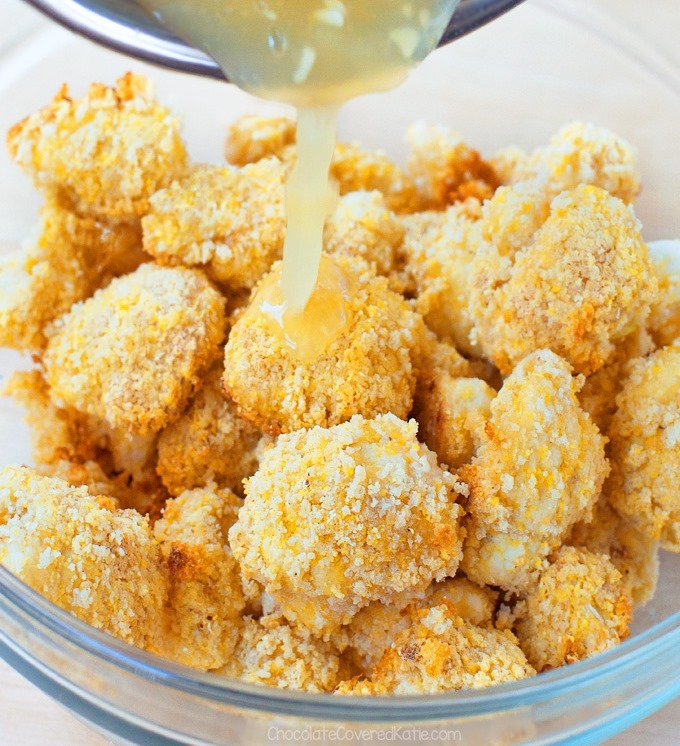 Combine cauliflower, milk of choice, cornmeal, oil, and 1 tsp salt, then toss in a large ziploc. (If you want to use oil spray instead of oil, feel free to experiment. I can’t say how it would affect taste/texture.) Put the coated cauliflower in a colander to drain off excess batter. Toss with the breadcrumbs. 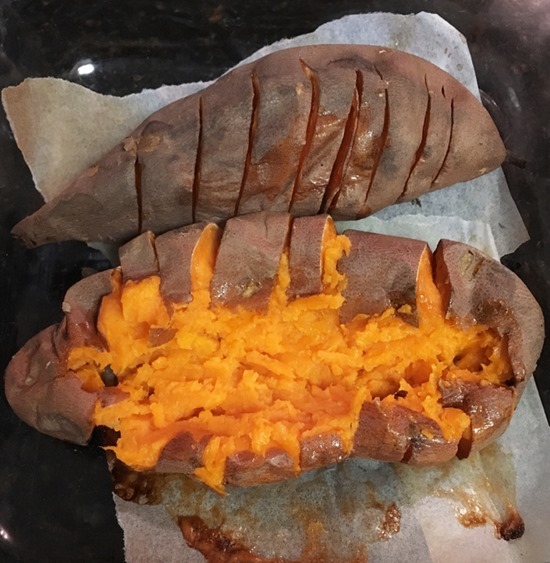 Arrange in 1 layer on a parchment-lined baking sheet. Bake 40 minutes on the center rack. Meanwhile, make the pineapple sauce by whisking all remaining ingredients except cornstarch in a saucepan. Quickly whisk in cornstarch. Turn heat to medium. Stir frequently; it thickens quickly. 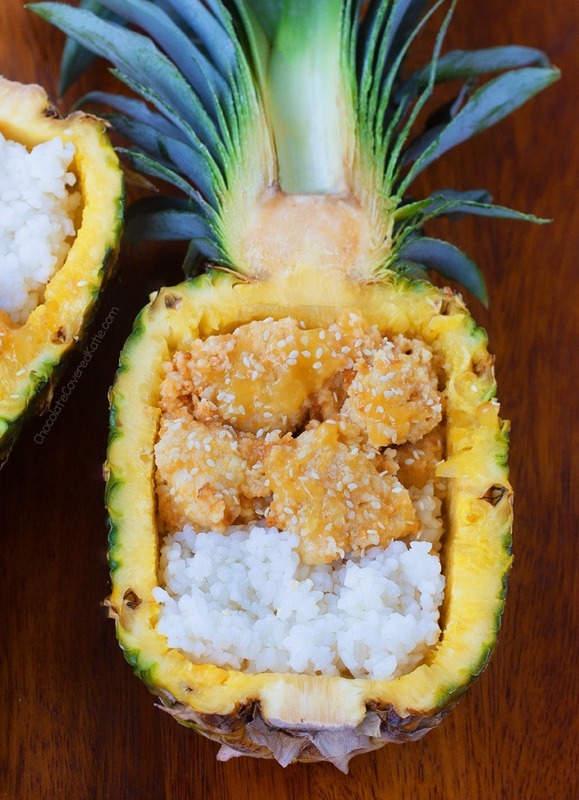 Remove cauliflower from oven, combine with the sauce, and serve – in pineapple boats with sesame seeds and sticky rice if you want to be super fancy! My pineapple just ripped today and. I just recently bought cauliflower, it was meant to be. Ooh, I wonder if I can do this recipe with my new air fryer. Totally trying it! Delicious and beautiful looking! Can’t wait to make it! I am so in love with this idea! I only have had pineapple rice and never anything like meat. And I have always wanted to try the pineapple boats too! Omg, this looks so amazing! I definitely need to make this for my family! I feel the same way about being vegan! My meals have become so vibrant and much wider in variety. I think it’s because we are forced to be a little creative when it comes to vegan cooking. 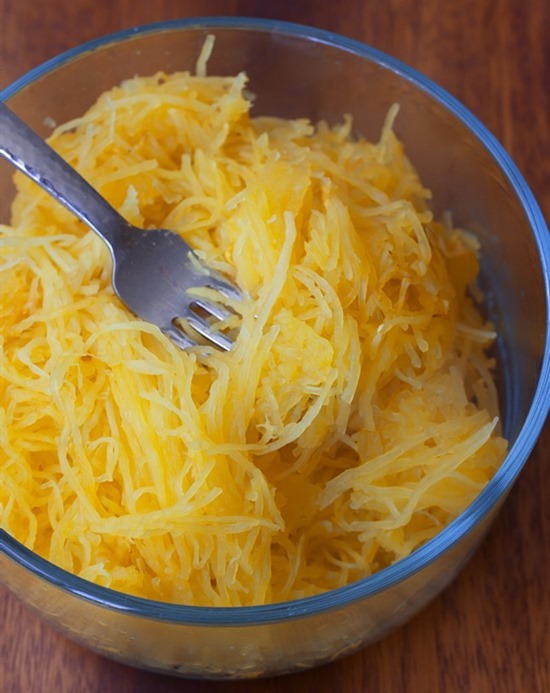 This looks so amazing and I love pineapple so much, what a perfect recipe! 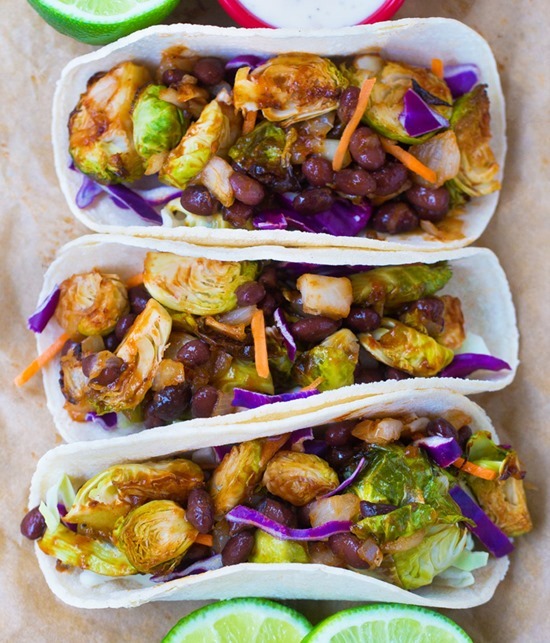 I might try this with tofu this week. 😀 Thanks for the recipe Katie! I have tried and loved all of your Chinese takeout makeovers. 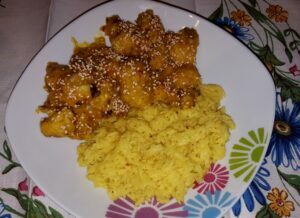 If you do not mind taking a request, I would be so excited to see a cauliflower version of General Tso’s chicken. We are putting it on the list to try! 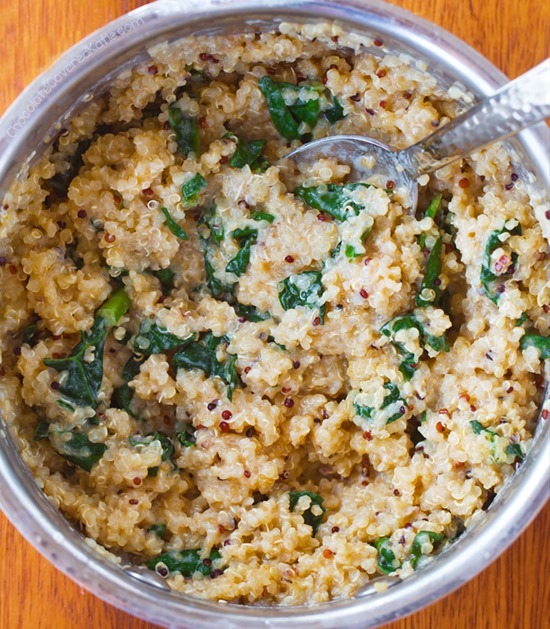 Could almond flour be used instead of bread crumbs? We haven’t ever tried so unfortunately can’t say, but it sounds like a really great experiment. Please be sure to report back if you try! 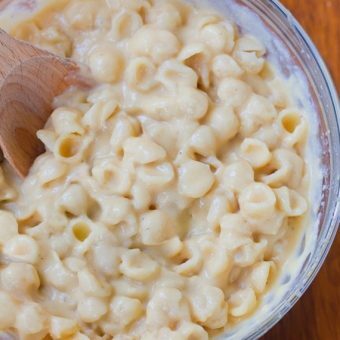 The hubs just made this recently and it was delicious I decided to blog about it too! 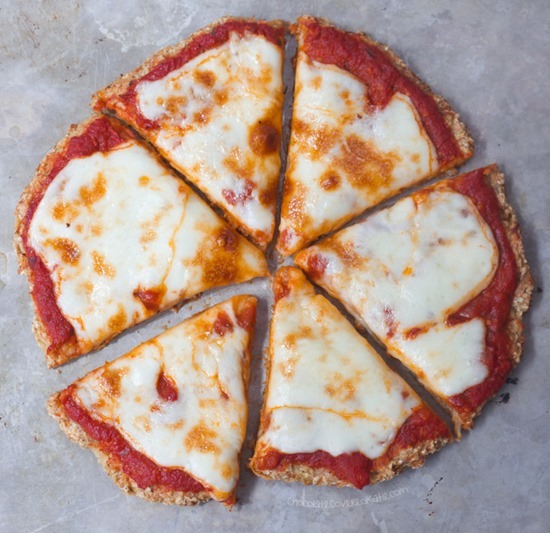 Thanks for another great use of cauliflower! Thanks Sharing These Ideas. I really love your Recipes. Hmm, I didn’t have that problem but definitely want to help troubleshoot! Can you tell me more about the ingredients you’re using, such as flour and sweetener type? I am using Flour not cornmeal as my husband has a corn allergy, so we have to use gluten-free options and no corn. I made this tonight-Really delicious! Baked it 8 minutes less as I thought it started to get too soft and I prefer a bit more texture. I toasted the Sesame Seeds for added flavor. Also, I thought the sauce needed a bit more color and the addition of a pinch of Tumeric and red pepper gave the sauce a “sunny” glow. This recipes a keeper. . .Thanks!